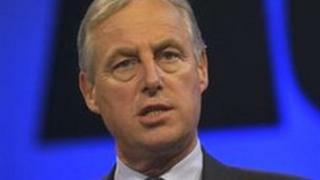 Conservative Party members in South Suffolk are being balloted over whether to deselect sitting MP Tim Yeo. The local Conservative Association's executive committee voted to "not re-adopt" him as its candidate for the next general election in 2015. It followed the MP being cleared by the Parliamentary Commissioner for Standards of breaking lobbying rules. Mr Yeo challenged the local party's decision and Conservative Central Office is overseeing the ballot. The vote will close on 3 February and the result is expected that day. Mr Yeo has been MP for South Suffolk since 1983. Andrew Sinclair, BBC East's political correspondent, said the move to drop him was due to "frustration" among some senior local party figures who felt he was not devoting enough time to his constituency. He said: "His local association had hoped he would decide to retire at the next election so that he could make a dignified departure from politics." Mr Yeo has said he did not want to retire and was therefore challenging the executive committee's decision by requesting the ballot of all members of the local association.